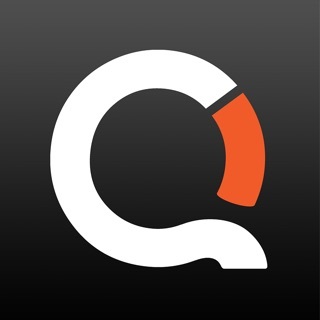 quitSTART is a free app made for people who want to quit smoking. 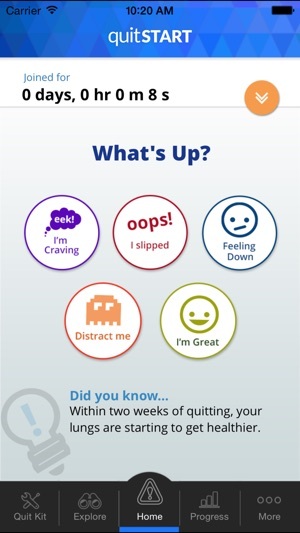 This app takes the information you provide about your smoking history and gives you tailored tips, inspiration, and challenges to help you become smokefree and live a healthier life. 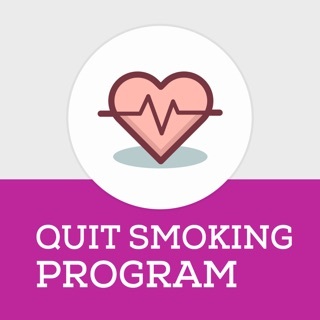 quitSTART is a product of Smokefree.gov, a smoking cessation resource created by the Tobacco Control Research Branch at the National Cancer Institute in collaboration with the U.S. Food and Drug Administration and input from tobacco control professionals, smoking cessation experts, and ex-smokers. 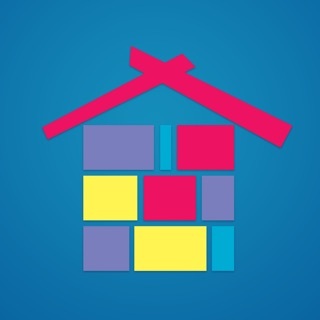 When I first downloaded this app, it was great, but now that I’ve started on Chantix to help me, a lot of the functions in the app aren’t working properly, such as photos and the “brag” button. Every time I try to upload a photo, the app closes completely and the photo does not upload. 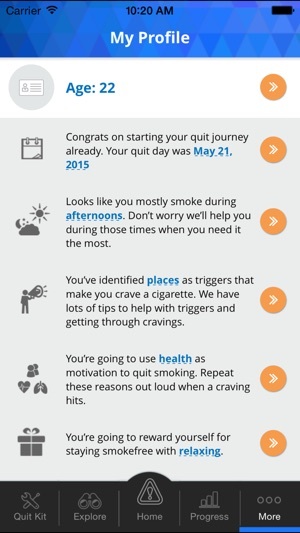 I wanted to add photos as reminders as to why I want and need to quit. These reminder images are very important to me. Also, I feel that the “Brag” button is a great feature, if only it worked. I feel it would be a great motivator, however, when I click on the button, it only opens up my messengers, printers, notes, etc. when I believe it is supposed to redirect me to a community page of some kind. Not sure about that because I can’t get it to work unless it only wants me to brag to people in my own contact list, but it doesn’t make sense because it tells you that your progress will be featured somewhere where others can view it to motivate them to stay quit. 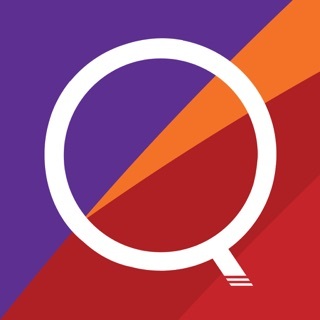 The app is all whacked out right now and I hope they get it working soon. 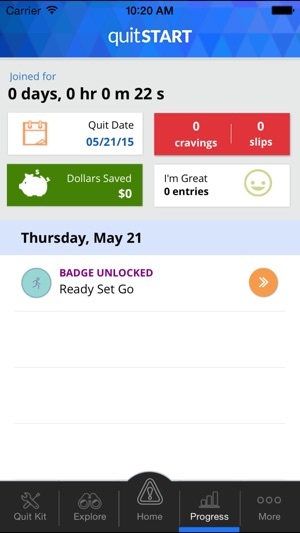 I quit with Chantix for 3 months then went back for two weeks..this time I quit cold turkey. 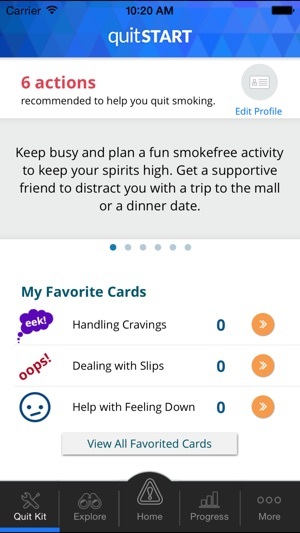 I was finding a dependence on the Chantix to remove cravings and realized my triggers are going to be with me for life so it was time to deal with them directly..this app checked on me through the day, gave me distractions..felt like having a friend/coach helping me get through..
App is easy, fun & informative. Set up was a breeze & colorful. I learned so much about my body & this addiction. Games did just the trick by distracting me for crucial minutes. 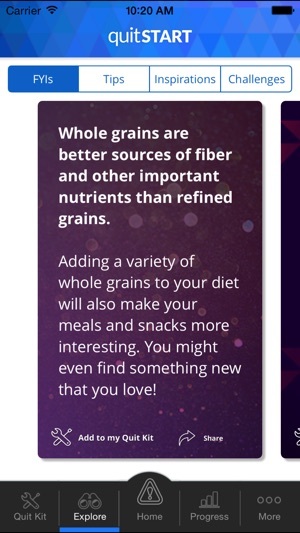 Simple tips to try. I started meditating & deep breathing. One moment & day at a time. At the end of the road feels fabulous!